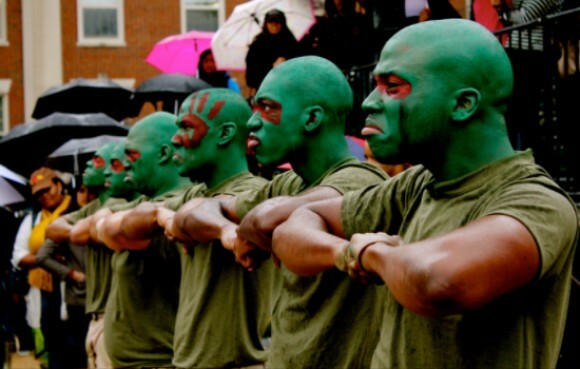 In college, there's almost no other time more exciting than probate season. That girl in your math class or that guy you always see in the gym is preparing to announce to the world that they've joined a sorority or fraternity; and for those new members, it's a big deal. For those who plan to attend a probate in the near future, here are some tips to make it as enjoyable and fun for everyone as possible. DON'T: Hassle the prophytes about who's on line, because they won't tell you, even if you guess! Discretion is key. DO: Make your friends a poster if they're being unveiled. DON'T: Scream out anyone's actual name. Discretion is key for them, but it's key for you too! When the time is right, they will announce who they are. DO: Attend the pre-shows! (I don't know about the Pan-Hellenic conference, but) National Pan-Hellenic Council orgs typically host a pre-show leading up to a probate. DON'T: Talk bad about the neophytes if they make a mistake. If you think you could do better, try to join and let everyone know how easy it is. DO: Take breaks to sit down, because other people want to see too! DO: Have fun! Probates are a celebration of hard work and sacrifice, so do the neos a favor and enjoy what they planned.